Samsung decided to surrender to the trend that a principle even mocked, and now has smartphones with notch. 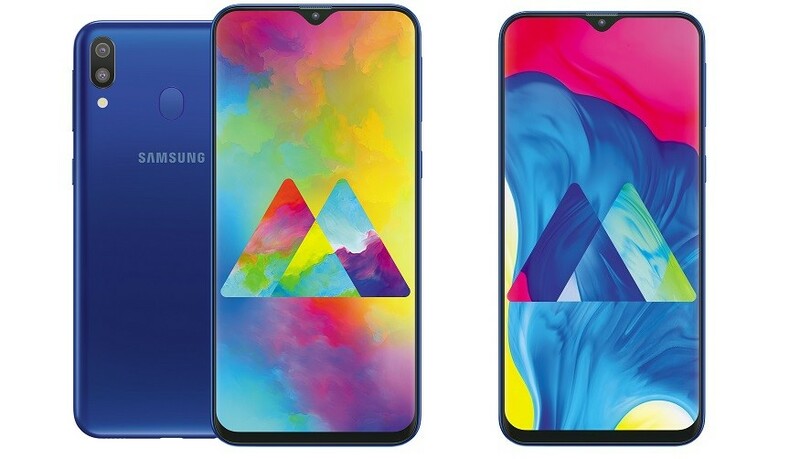 The arrival of the notch in the catalog of the South Koreans has been confirmed now with the official presentation of the Samsung Galaxy M10 and M20, two new devices with youthful air and notch in the shape of a drop. We could see them thanks to the company anticipating the announcement on the Amazon website, showing us some of its features. It is two devices with very contained price and limited availability to a market at the moment, although we could see a third later (the M30), let’s see what the Samsung Galaxy with notch include. The average diagonal screen size has already been set above 5.5 inches and new Samsung phones are born with screens larger than 6 inches. Diagonal of 6.2 and 6.3 inches for the LCD panels of the M10 and M20, with HD + resolutions and corresponding to the Infinity-V format of the four presented a few months ago (three with notch ). We do not have official data of the use of the screen, but in GSM Arena (which we usually take as a reference for its precision and methods) point to 82.1% for the Galaxy M10 and 83.6% for the M20, with which these rather fair mobile phones at the specification level would have a screen percentage of the order of flagships like the Samsung Galaxy Note 9 . In this way, the “all screen” would reach lower ranges, with a higher number than we saw in the Samsung Galaxy A7 (2018) and A9 (2018) , although below the Samsung Galaxy A8s of the hole in the screen (with a 84.7%). There are two versions of each of the models according to RAM, thus giving options from 2 GB to 4 GB and starting with 16 GB of storage up to 64 GB (without the possibility of extending it with microSD). All this moved by an Exynos 7870 in the case of the Galaxy M10 and by an Exynos 7904 in the Galaxy M20. Another difference at the hardware level is in the batteries, with an M20 quite remarkable in this regard. Despite integrating a similar diagonal screen the volume is somewhat different, and the largest of the M (for now) incorporates a battery of 5,000 milliamps / hour, while the M10 integrates a battery of 3,400 mAh (and has no fast charge as the M20). In addition, Samsung is still betting on the audio jack and these phones incorporate it, also sharing the specifications in terms of connections. As well as the USB type C 2.0 , so that despite cutting in its features are not “old” in this regard (although the micro USB is still a standard and very common, being born with the new connector allows delay somewhat more obsolescence) . More parity in terms of photography with this first Galaxy M. That notch that bursts into the screen integrates a 5 megapixel camera, the same as the rear secondary camera sensor with super wide-angle lens, in combination with a camera main 13 megapixels. 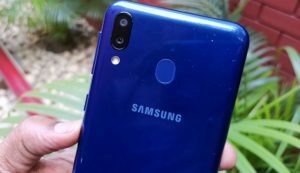 Although the launch is already official, we are waiting to know more about its availability: if they will leave India, what models will do it and if we will see a third Galaxy M. The 5,000 mAh battery is seen in the Galaxy M20 and it was rumored for the M30, but what would fit is that the Galaxy M30 integrates the Exynos 7885, so we’ll see if later we have a third Galaxy M with notch . What we have for now are four versions in total, two per model, according to the memories. We indicate the prices for India and later update with more information if they go to other markets (perhaps with another nomenclature or processors).